Heightened uncertainty around Brexit negotiations will delay recovery in the prime central London housing market for a further year to 18 months, a new analysis suggests. But this will be followed by a bounce in 2021, according to international real estate adviser, Savills in the report of its new five year forecasts. It points out that London’s highest value markets have more than corrected for the additional sale taxes payable since the stamp duty overhaul in 2014, with price falls totalling 18.4% since the peak earlier that year. It adds that the proposed additional stamp duty levy of between 1% and 3% on non-UK tax paying international buyers announced at the Conservative party conference is expected to add to buyer caution in the short term and temper the recovery. Until Brexit negotiations are complete, the market will remain price sensitive and driven by needs based purchases, the firm says. This will put price growth on pause for the next two years. Savills forecasts that in the prime central London market prices could fall by 5% in 2018, by 1% in 2019, remain flat in 2020 and then rise by 6% in 2021, by 2% in 2022 and by 5% in 2023. In the outer London market the forecast us for prices to fall by 1.5% this year and by 1% next year, remain flat in 2020 before rising by 3.5% in 2021, by 1% in 2022 an by 3.5% in 2023. In England and Wales prices are expected to be flat this year then rise by 1% in 2019, by 2% in 2020, by 3% in 2021 and 2022 and by 4.5% in 2023 while in Scotland they are forecast to rise by 2% in 2018, in 2019 and in 2019, then rise by 3% in 2021 and 2022 and by 3.5% in 2023. ‘Historically, any recovery in the prime housing markets has been sparked in central London, with a strong bounce in values, with double digit annual growth not unusual. The catalyst has often been a currency advantage, though prime central London residential property also has to look identifiably good value on a world stage,’ said Lucian Cook, Savills head of residential research. ‘This time around we’ll also need a backdrop of greater certainty, which we expect by the end of 2020, clearing the way for values to rise. However, a number of constraints, including rising borrowing costs, increased taxation, higher investment returns on competing assets and a general election in 2022, point to a slower rate of recovery than in previous cycles,’ he pointed out. Brexit has not fundamentally altered the fundamentals of why people want to live and invest in London, Savills says. Office take up since the European Union referendum suggests the city remains an attractive place to do business to a wide range of wealth generating businesses. Global wealth creation remains strong; the pool of global ultra-wealthy individuals is expected to increase by 40% over the next five years. ‘Despite successive stamp duty increases, London remains mid table compared to other leading world cities in terms of buying and selling costs. The proposed surcharge will not substantially change that, rather it’s a clear signal to those still hoping to see a rate cut at the top end of the market that the higher rates are here to stay,’ Cook explained. ‘There will obviously be competition from increasing returns from other asset classes, but the rational is only part of the story. Those buying the most expensive homes in central London are often less concerned about rental yield and total return, but driven by the appeal of owning a piece of prime real estate in what is widely seen as a great city to live,’ he added. 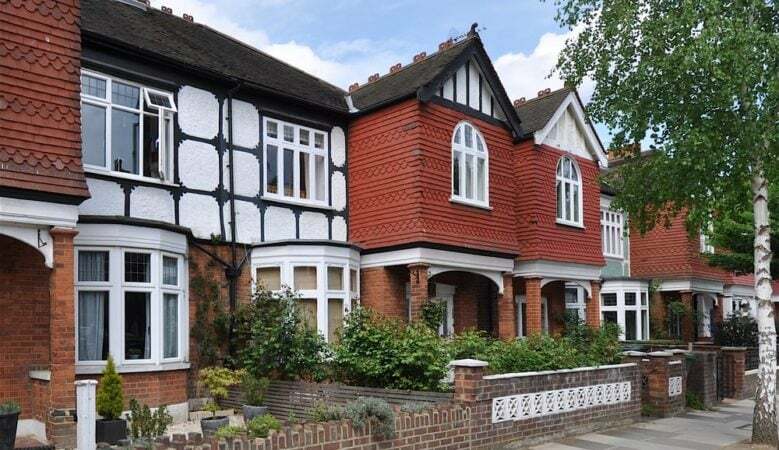 The report also points out that the prime housing markets of the regions beyond London’s wider commuter belt were much slower to recover after the global financial crisis and there has been little buyer urgency over the past year to boost values. As a result, these markets now look good value compared to London. A property bought for £1 million in prime central London in 2007 is now worth £1.37 million, compared to £1.28 million in outer prime London, £1.15 million in the suburbs, just £911,000 in the Midlands and the North and £876,000 in Scotland. Over the next five years, the wider South, Midlands, North of England and Scotland are all expected to outperform London, as buyers recognise the relative affordability and the potential to stretch their equity. ‘Buyers see that the price gap between London and the country markets has probably stopped growing, so are more willing to sell up and make the move out. But rather than extending their borrowing, many are looking to buy a bigger home and potentially reduce their mortgage at the same time, capping price growth at the relatively modest levels we are forecasting,’ said Cook. ‘Our five year projection may look ambitious at this moment of peak uncertainty, but it looks pretty modest when viewed against history. And history tells us that when prime central London house prices bounce, the speed of that bounce can take the market by surprise,’ he concluded.